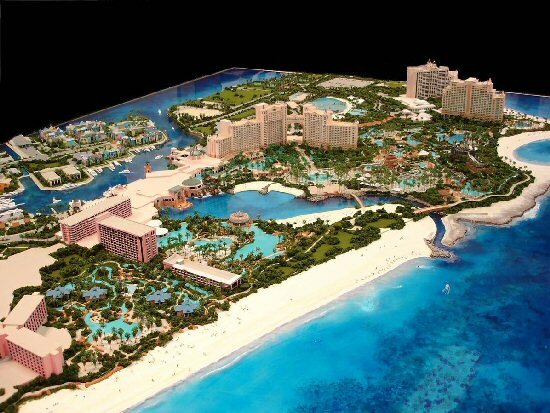 Everyone has heard of the amazing Atlantis Resort in Paradise Island in the Bahamas. Now, fans of this phenomenal property will have a chance to own a piece of it. Atlantis is expanding and plans include a five-star, 22-story, 505-unit condo hotel. The property will cost $200 million to develop. It will be built by the world-renown developer Turnberry Associates of Aventura, Florida and Kerzner International of Nassau, which owns the Atlantis Resort. 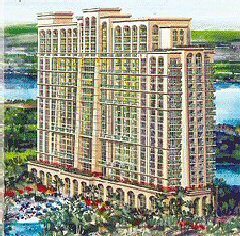 The condo hotel will be located within sight of Atlantis’ signature Royal Towers, the pink 24-story resort that attracts roughly one million guests and day-visitors a year. 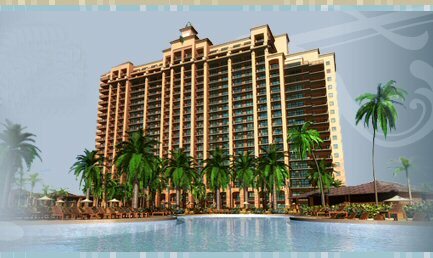 The Atlantis condo hotel is part of a $1 billion expansion of Atlantis Resort. In addition to the Atlantis condo hotel, a 600-room hotel will also be built. The hotel will be a luxury all-suite property modeled after high-end Las Vegas casinos. A rendering of the proposed expansion shows two Mayan-style buildings flanking a water park near the existing Royal Towers. The new Atlantis complex will offer a more private setting, segregated from the sprawling pool decks and water slides that are Atlantis’ current trademarks. It will help to cement Atlantis’ position as a vacation destination for visitors from all over the world. Model built by Melvin Denny Ako, Inc., www.melvinako.com. 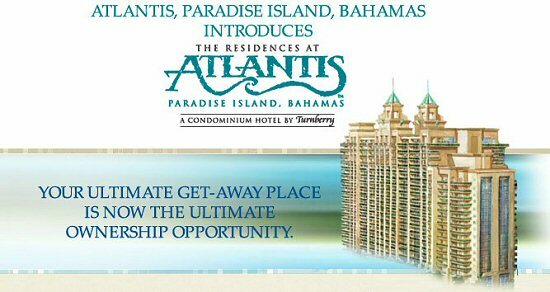 Available at Atlantis condo hotel will be studios, one-bedroom and two-bedroom units. They will be professionally designed and fully furnished in true five-star fashion. 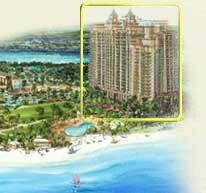 Atlantis condo hotel unit sizes will range from 519 sq. ft. to 1,718 sq. ft. Prices range from $700,000 to $3,400,000 (subject to increase without notification). If you’d like to learn more, read our Residences at Atlantis Property Alert. Learn more about The Bahamas here. If you are interested in receiving more information on The Residences at Atlantis condo hotel, please request our detailed data sheet. We will respond within 24 hours (usually much sooner). Contact Joel Greene at Joel@CondoHotelCenter.com or call (954) 450-1929.